Corner of Ave. N Black Top Road (Asphalt) and 162nd Street East. 2.1778 Acres = 94,865 Sq ft. 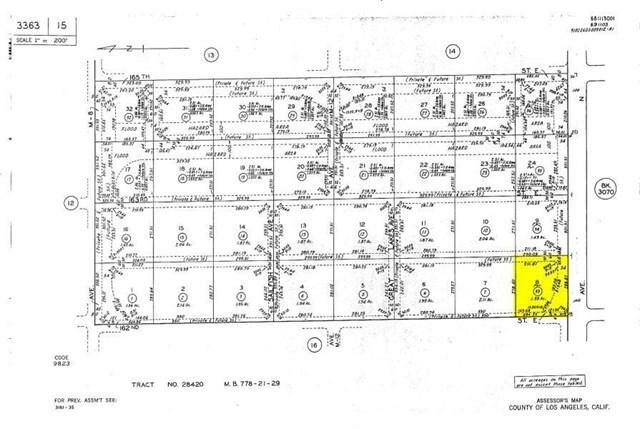 Residential lot, water and sewer hook-ups at the street, buyer to verify all.Large lot in planned community. Houses across the street and adjacent to lot. Great lot for building. Sold by Richard Khatibi of Rich Estate Props.